Anti-ISIS activists in Syria claim a stadium, a museum, medical clinics and a political building have been hit after France launched airstrikes in retaliation for the Paris terror attack. Raqqa Is Being Slaughtered Silently, a group of anonymous activists inside the ISIS stronghold, wrote that heavy strikes had been taking place since this morning. 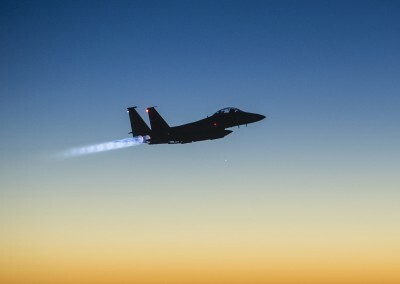 The group began documented the airstrikes at around 8am and said it had increased to “30 airstrikes” this evening. No civilian casualties have been reported yet, according to the group. France retaliated to the Paris terror attack by launching deadly airstrikes on an Islamic State jihadi training camp in Syria tonight. Yesterday French president Francois Hollande vowed to crush the extremist group who massacred 129 people on Friday night. Less than 24 hours later, some 10 fighter jets pummeled the ISIS-held city of Raqqa with at least 20 bombs, according to the French defence ministry. The jets hit command and control center, jihadi recruitment center, munitions depot and a training camp. The Raqqa strikes, 20 in total, targeted parts of the city that had not been hit before, including a sports stadium, a museum, an equestrian centre and several administration buildings. Now, who is going to come out and state the obvious? Regardless of what targets are hit or not, these airstrikes have no legal mandate. They are a violation of international law.